Solomon Northup is a free man like you or I. Solomon Northup is captured, but determined to thrive. Solomon Northup is enslaved and desperate to survive. The opening twenty minutes of Steve McQueen’s 12 Years A Slave accomplish this complex and complete character arc – one that most directors would struggle to fit into a full feature. The British director (working from John Ridley’s script based on Mr. Northup’s memoir) covers 12 years in 133 minutes. He certainly doesn’t rush through the material, presenting the many horrors Solomon befell with picturesque clarity. But none of Solomon’s masters’ cruelties are as frightening as how fast Solomon’s instincts break down, and how swiftly the titular 12 years pass by. Throughout his enslavement, Solomon falls prey to many overseers and masters, most notably the sadistic Epps (Michael Fassbender) and the kinder Ford (Benedict Cumberbatch). McQueen presents the realities of slavery in such a straightforward, matter-of-fact manner, gently assaulting the audience with the moral predicaments of the era. How can Ford be a bad man if Epps is so much worse? But the real focus of the film is Solomon, and Chiwetel Ejiofor delivers a stunning performance, and with hardly a flashy, actor-y moment. Solomon quickly realizes that any protestations on his behalf will do him no good, and so Ejiofor’s performance is mostly an internal one. But the great British actor is able to express so much with so little action. Newcomer Lupita Nyong’o similarly expands on an interior role with a heartbreaking performance as fellow slave Patsey, the object of both Epps’ affection and his most sinister intentions. McQueen’s various collaborators produce career high-points across the board, starting with regular cinematographer Sean Bobbit. Together, they create unflinching long takes that demand the viewer’s attention, never giving permission to look away from the beautiful bayou horror. Composer Hans Zimmer’s score, if often familiar, is always moving. And the combination of Adam Stockhausen’s production design and John Ridley’s screenplay painstakingly recreate every aspect of the period, from the detailed interiors to the accessibly antiquated English. In short, McQueen and his team have created a film that, as both a historical retelling and work of mainstream art, deserves to be seen by as wide an audience as possible. 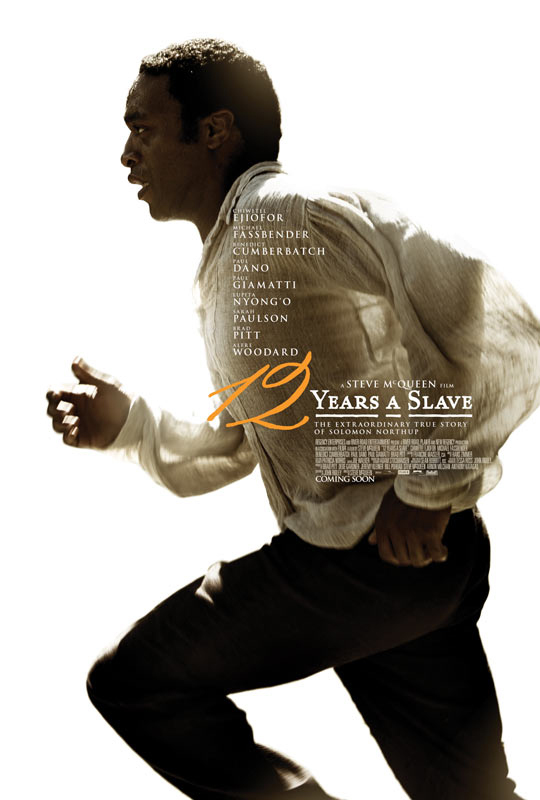 12 Years a Slave opens today in Philly area theaters.